Folks at the UK’s largest retailer, Tesco, were embarrassed after an Italian student who is studying in England pointed out that there were numerous offensive phrases in a picture of Italian meats on the packaging of their Italian spaghetti bolognaise. 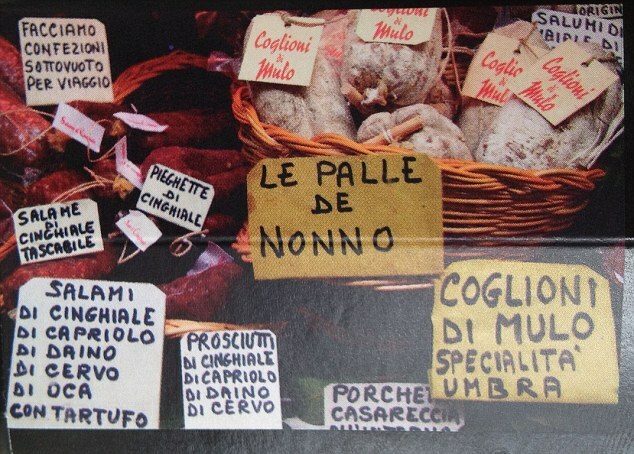 Tesco has since apologized and confirmed the other words innocently describe wild boar, buck, deer and goose meats, but revealed the naughty truth about Coglioni di Mulo and Le Palle de Nonno. Guess they should have asked a native speaker before using the photo. Be sure to read the article for more information (a second article can be read here). Thanks to Robin Bonthrone for sharing the articles. Are you sure it’s wrong, Jill? I mean, Italian students don’t know everything either. I’m surprised that such a large company would advertise something without checking the meaning first!